It's officially spring now (even though the weather doesn't feel like it), and all I want to do is wear skirts and dresses. I'm sick of pants! And coats! I feel like my friends and I whine at least once a day about how we want summer. On Monday, we actually started planning things we wanted to do this summer. And talked about outfits we were looking forward to wearing. It's been a long winter. Today's post is one of my favorite looks for spring! 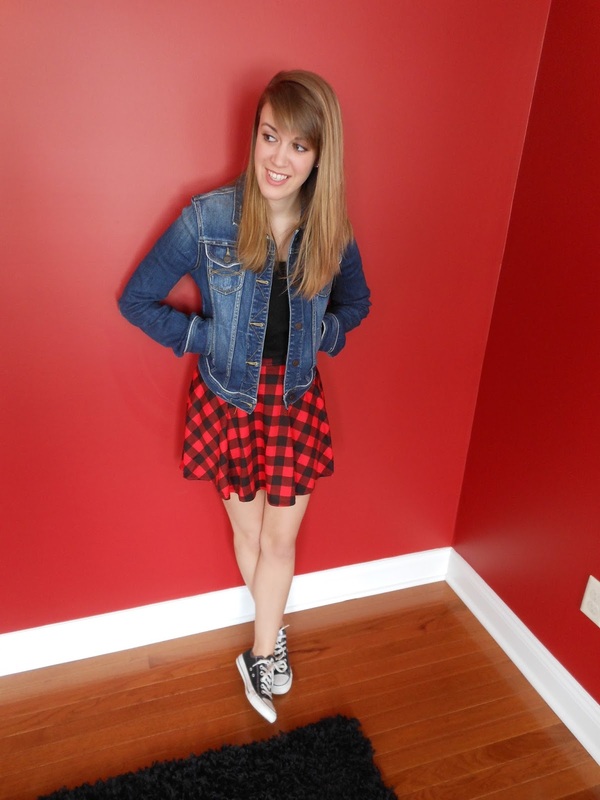 A cute skirt and a light sweater, the necessary jean jacket, and my converse. Definitely my go-to look. Anyone else live in skirts and dresses when it gets warm? 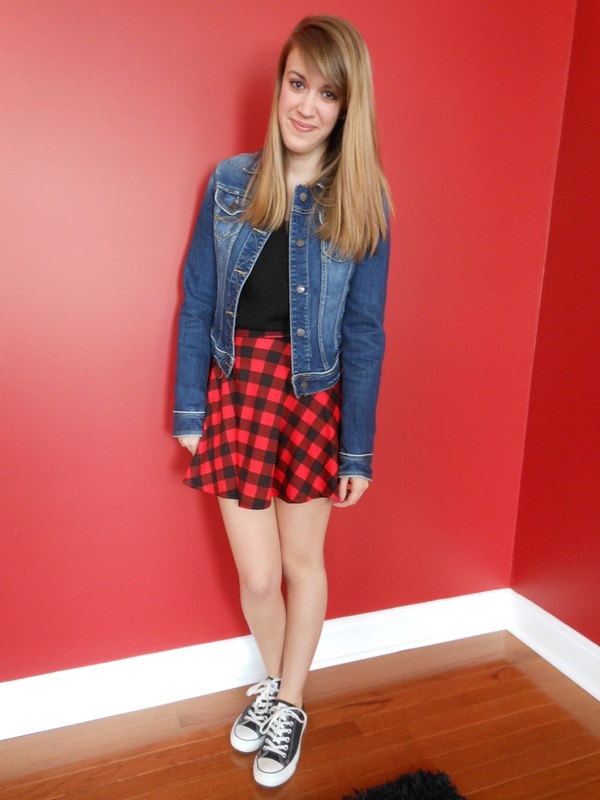 Love the plaid skirt! I can't wait till it's a little warmer so I can live in skirts and dresses without worrying about a cold front again! I'm so over wearing pants too!!! Bring on the skirts and dresses!! So cute!! Loving the plaid paired with the denim! The converses were the perfect touch too! 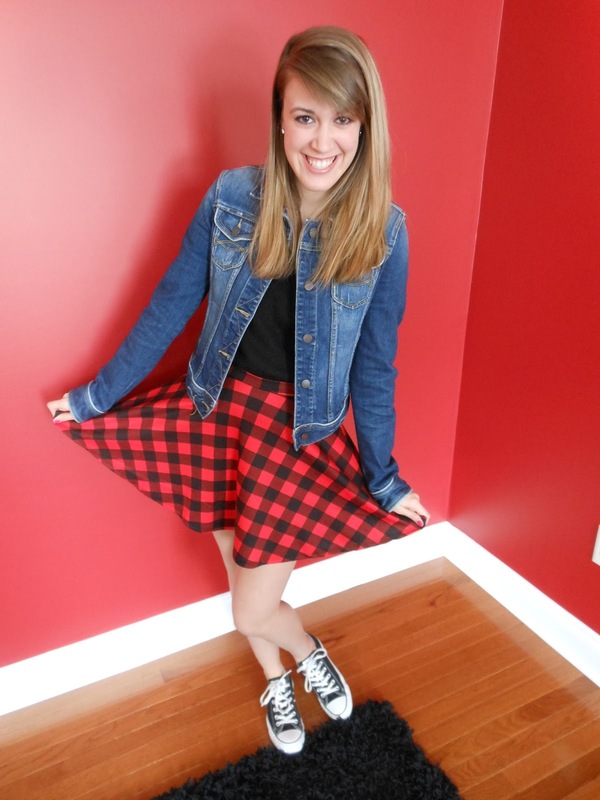 The plaid skirt is gorgeous! You've styled this outfit perfectly!